Fiji is a nation made up of more than 800 islands with a population of more than 881,000. Most of the people live on the two largest islands. About half of the population is ethnic Fijian, and almost half are of Indian descent. While most ethnic Fijians consider themselves Christians, most Indians have clung to their own traditions, including their religion. Few have become Christians. The nearly 25,000 Adventists living in Fiji mean that one person out of every 35 is a Seventh-day Adventist. It was a cold and rainy Friday. Mother had cleaned the house and prepared the food for Sabbath. Father came in from working outside and asked for something hot to drink to help him warm up. Mother poured some water into a pot on the stove and reached for the box of matches that she used to light the stove. But when she opened the box, she discovered that it was empty. She opened the kitchen cupboard to get another box of matches, but she found none. She searched through all the cupboards, but she found no matches, not even one. Mother thought about sending one of the children to a store to buy matches, nearest store that was open was more than a mile away, and it was nearly Sabbath. Before long, the family sat down to welcome the Sabbath with a song and worship. Then they ate their Friday evening meal of biscuits and fruit. Mother was glad that all her cooking had been completed before she ran out of matches. Mother was surprised, but she answered, “Of course.” Mother knew that John loved to pray, and he often asked Mother to pray with him, even about little things. Mother smiled and gave John a hug and told him it was time for bed. Mother awoke early on Sabbath morning. She could hear the lovely songs of birds welcoming the morning. Then she heard the front door open. “It’s me.” Mother recognized John’s voice. She was surprised that John was up so early. Usually he was the last one out of bed! But why had he opened the door? She got up to see what was happening. The box was the same size as the match boxes Mother used. But instead of having a big red flower on the front, this box was pure white. Even the place on the side where she lit the matches was white. Mother opened the matchbox. The matches inside were white too, not like the ones she bought in the market. Even the tip was silvery white. 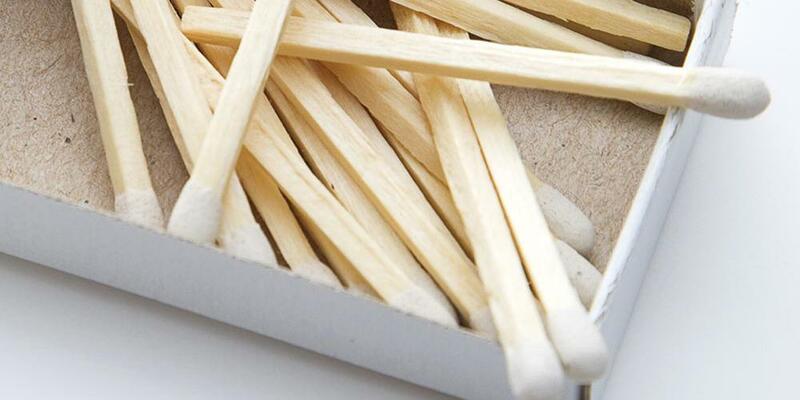 Mother had never seen matches like these before. “The angels sent the matches, Mom,” John said, excited. “Let’s tell Jesus thank You for sending the matches!” Mother and John knelt down and thanked God for answering a little boy’s prayer for such a simple thing as a match. Mother took a match from the box and lit the stove. Soon the milk was hot, and the family was ready to eat. The matches and the matchbox are gone, but John and his mother remember the miracle of the matches, and it still makes their hearts feel warm as they remember that even the smallest prayer reaches God’s listening ear.